K and K Landscaping - Landscaper based in Reading, Berkshire. When you are looking for a reputable landscaping contractor in and around Reading, Berkshire, there is only one name to remember - K&K Landscaping. As a company, we continuously seek ways to improve our service and performance. We stay up to date with the latest yard care techniques and products for optimum performance on our behalf. Your satisfaction is our main goal! Our craftsmanship to detail and superior client service are yet of few of many reasons we are preferred choice of homeowners who are getting ready to transform their outdoor living space. We not only tailor our design to fit your style, we work with you to ensure that your needs are met and that you receive quality products that fit your budget. 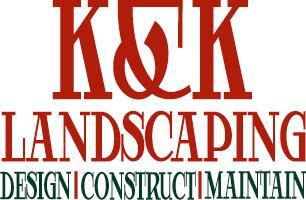 K&K Landscaping specializes in DESIGN, CONSTRUCTION and MAINTENANCE. It is what we do and we are proud of. If you are ready to begin the transformation, please contact us by dialing +44 7459712295, or visit our website kandklandscaping.co.uk to make an enquiry. We will be more than happy to help you create the outdoor living space you deserve.